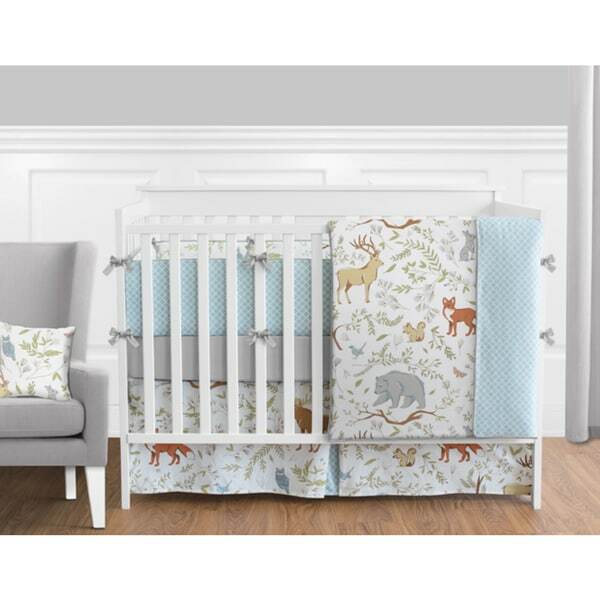 This lovely set features a multi-colored woodland animal toile, a coordinating blue lattice print, and solid grey cotton. This collection uses the stylish colors of white, grey, blue, green and earth tones. Warning: Loose bedding can present a Hazard. Please follow safe bedding practices as recommended by theConsumer Product Safety Commission. "Is the comforter reversible? It looks like it has the blue lattice print underneath in the picture, but not sure if that was the sheet?" "Can I order an extra window treatments that goes with this set?"